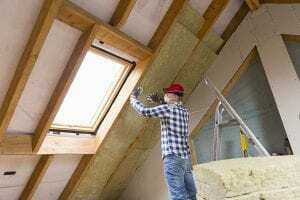 Whether you’re having a new home built, constructing an addition, or just re-insulating your current home, 31-W Insulation is the company for the job. Providing insulation for homeowners and contractors has been our specialty since our founding in 1972, and we have the products and trained professionals to install insulation in virtually any part of a home. After we’re finished with your project, you’ll be able to rest easy knowing that your entire home will be insulated as well as possible against heat exchange. The two main types of insulation that we can install are fiberglass and foam insulation. Our fiberglass insulation is available in either the traditional matted type or spray-in and can be installed in attics, basements, floors, walls, ducts, and crawlspaces. The foam insulation is great for stucco walls, foundations, and basement walls, and it can also be used in conjunction with the fiberglass insulation. We take installation just as seriously as we take offering top-of-the-line home insulation products. We don’t use subcontractors, and our highly trained professionals will work meticulously to ensure that every inch of space that needs insulation will be covered. Our company always provides world-class customer service for every project, as reflected in our A+ rating the Better Business Bureau. If you would like home improvement professionals with decades of industry experience to provide and install your home insulation, contact 31-W Insulation today. We also provide insulation products and services for residential contractors in the Atlanta area.